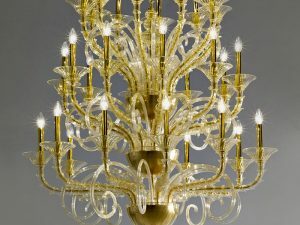 Beautifully crafted modern Murano chandelier by genuine Murano master. 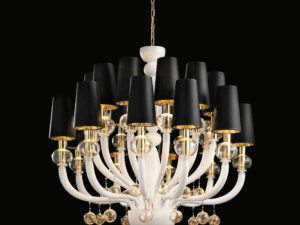 It is available in several different sizes such as 5, 6, 8, 10 and 12 lights. 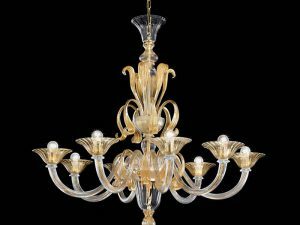 The clear with white modern Murano glass lighting chandelier is an outstanding handcrafted lighting fixture that will beautify any residential or commercial interior design project. 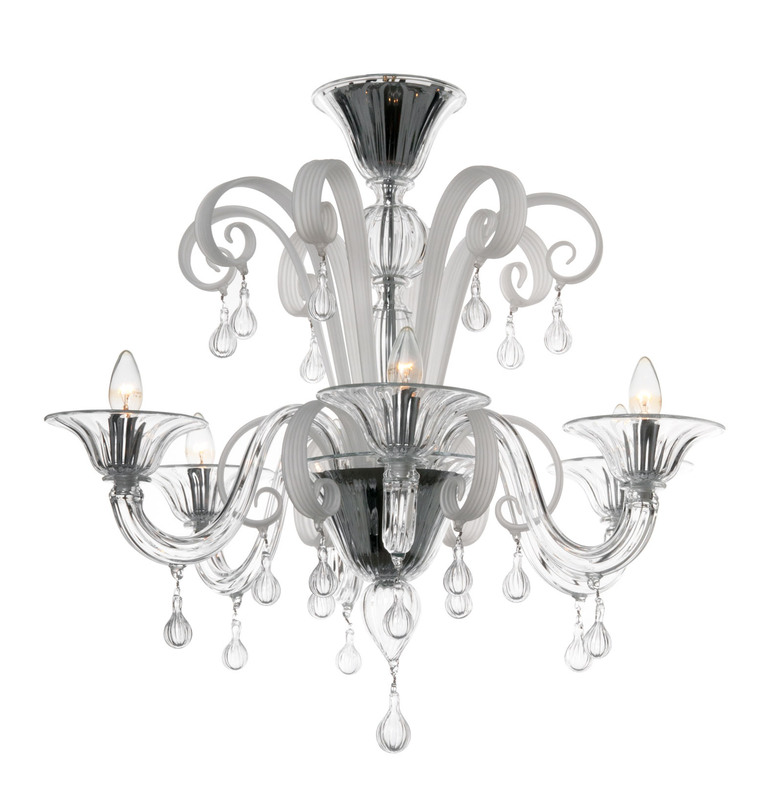 Size: H. 28″ x D. 30″ (H. 71 cm x D. 76 cm) Ask about other sizes. 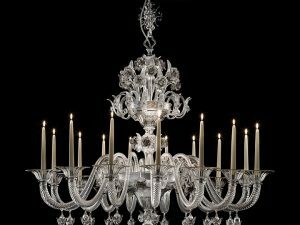 It is available in several different sizes such as 5, 6, 8, 10 and 12 lights, custom Murano glass color and custom metal finishes upon your request.